To celebrate the 30th anniversary of Gala Italia, several producers have contributed a 30 year old vintage bottle of some of their wines previously presented at the Gala Italia. 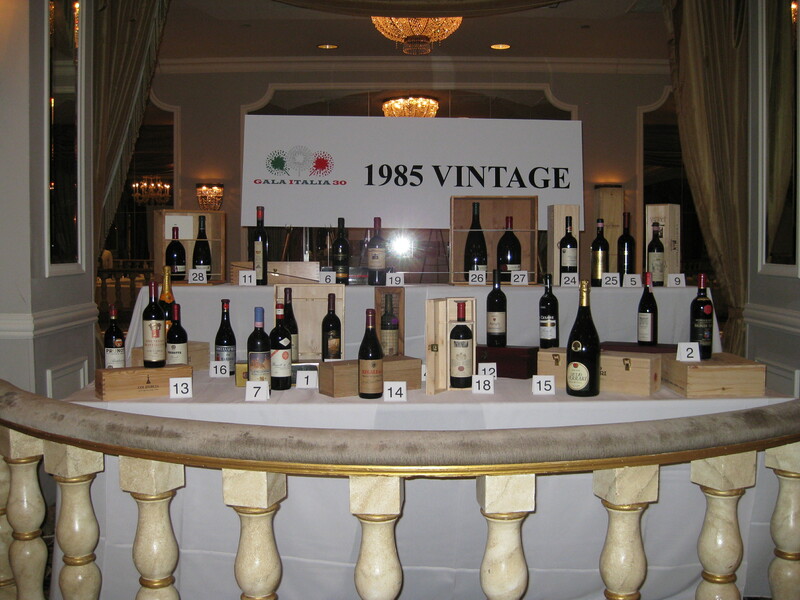 The 30-year vintage wines, in many cases not available anymore for retail, constituted a great way to celebrate the 30 years of Gala Italia and the success of Italian wines and of their producers. In addition, Vinitaly has contributed 4 bottles of the special wine created to celebrate the 150th anniversary of the Unity of Italy.